Shifting the chemical market from petrochemical-based to bio-based compound production. A revolutionary step for a more sustainable world. 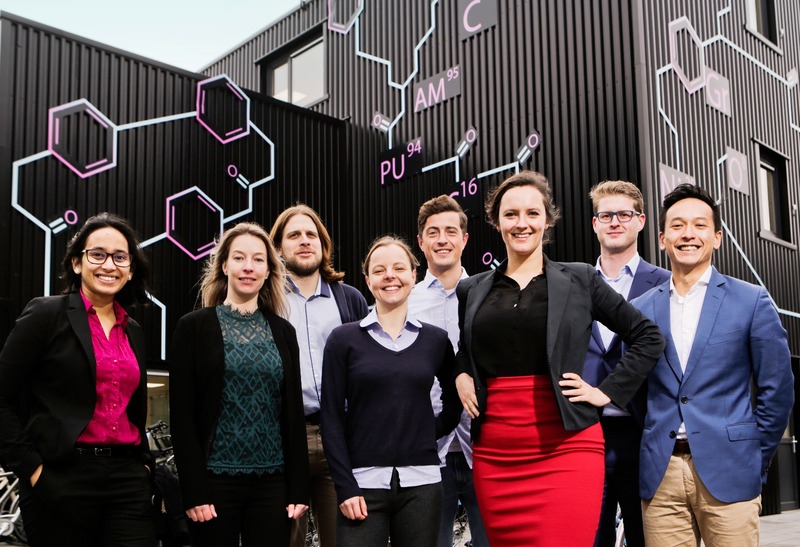 EIT Health VentureLab alumn EV Biotech has been granted investments from Carduso Capital, UMCG-Hanzepoort and RUG Houdstermaatschappij to develop their microbial cell factories. EV Biotech creates micro-organism that effectively produce high value chemical compounds in a biological fashion. These organisms will be used for industrial scale production of these chemicals. The method EV Biotech uses to create their cell factories is revolutionary to the field. EV Biotech has created a digital laboratory to test all cell possibilities in advance, limiting time, waste, expenses and carbon footprint. A green and biological way to produce molecules used in Fragrance, Flavor, Pharma, Plastic, Agricultural and Fuel industries. 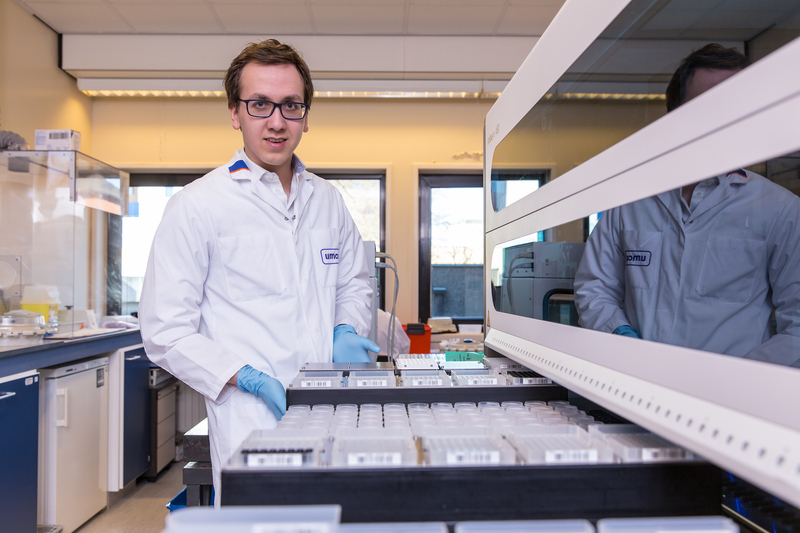 EV Biotech was founded by 3 former PhD students from the University of Groningen. EV Biotech creates a new production platform for high value chemicals using computational modelling and micro-organisms. The production of the molecules will be biological, green and effective. Products made through this platform are of high purity, which is often hard to reach with chemical synthetic production. EV Biotech has been operational since July 2018 and is kicking off its laboratory activities now in the InnoLab AgriFood on the Campus Groningen. The technology used by EV Biotech creates a more sustainable production platform. EV Biotech has created a digital laboratory that can predict the most effective organism to produce specialty chemicals. “The investment in EV Biotech will allow the company to prove the effectiveness of their novel production pipeline by creating 4 proof of concept micro-organism factories which will be implemented into the market. EV Biotech serves the need of great chemical production firms. The investment together, with RUG-Holding and UMCG-Hanzepoort will help EV Biotech to break the petrochemical based chemical market to become bio-based.” Says Koos Koops, one of the Carduso fund managers. Founder and CEO Linda Dijkshoorn adds: “To reach a sustainable future we need to move away from chemical synthesis and use natures inventions to our advantage. Having 3 strong partners as investors will help us achieve this goal faster and more effectively and to reach this goal we have doubled our team with 3 new expert PhD’s. 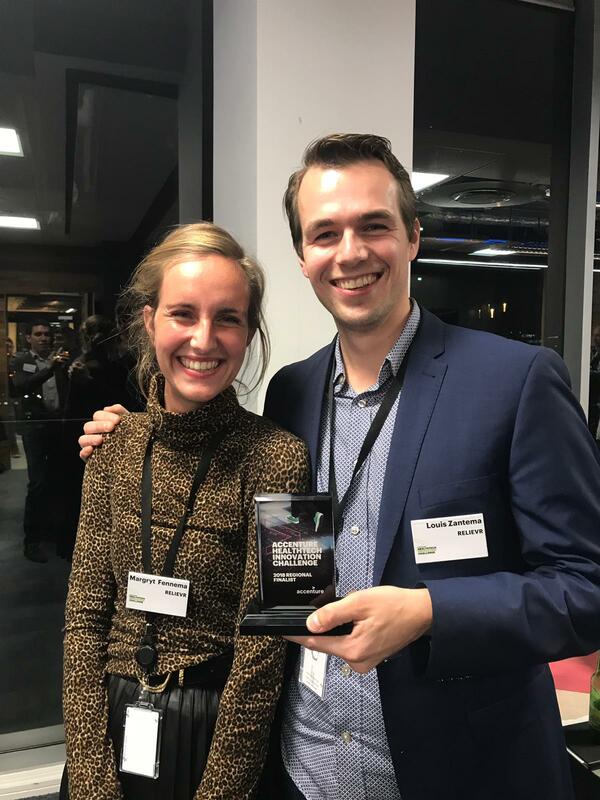 We are very thankful for the amazing network present in Groningen and partners like VentureLab North and Fit professionals of Finance have helped us enormously in our journey”. EV Biotech will work on their proof of concepts in the coming two years to enter the market with their proof of concepts and to start CRO activities. On 15 November EIT Health VentureLab participant RelieVR participated in the European round of the Accenture HealthTech Innovation Challenge and were named Best European HealthTech Startup and are in the running to be crowned Innovation Champion on January 7 in San Francisco. RelieVR joined the VentureLab programme in June 2018 and as VentureLab we are very proud of their achievements so far, and look forward to the next steps! 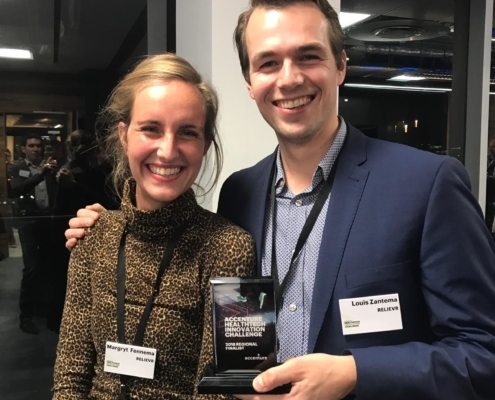 EIT Health VentureLab alumnus CC Diagnostics has been backed by Carduso Capital, taking the next step towards the launch of their cervical cancer screening technology! CC Diagnostics joined the VentureLab programme in 2016 and after completing the programme in 2017 have continued to develop in a steady pace. VentureLab is proud of this next major step in the development of CC Diagnostics and their product.